She will do anything for freedom, but at what cost? Jenny Trelawney is no ordinary thief. Forced by poverty to live in the forest, she becomes a successful highwaywoman – until her luck runs out. Transported to Britain’s furthest colony, Jenny must tackle new challenges and growing responsibilities. And when famine hits the new colony, Jenny becomes convinced that those she most cares about will not survive. She becomes the leader in a grand plot of escape, but is survival any more certain in a small open boat on an unknown ocean? 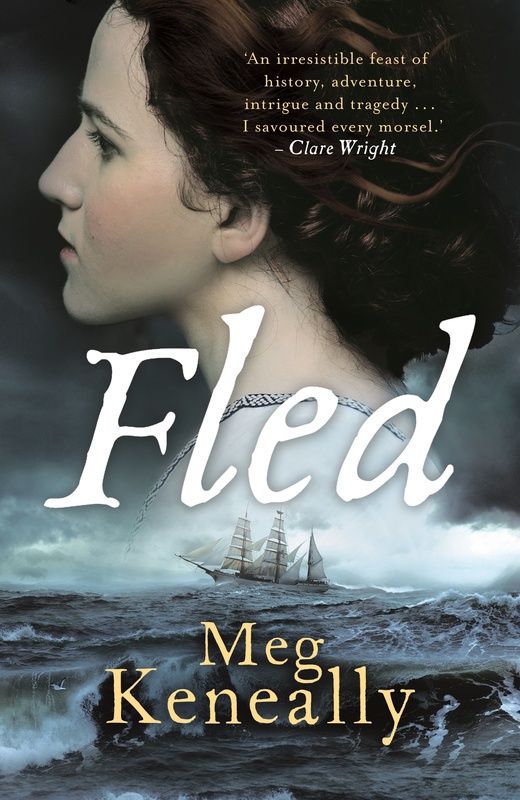 Meg Keneally’s debut solo novel is an epic historical adventure based on the extraordinary life of convict Mary Bryant. Meg Keneally has always been fascinated by the ocean and history, in particular maritime history and archaeology. A former SCUBA diving instructor, Meg still spends as much time underwater as she can. She is the co-author with Tom Keneally of The Monsarrat Series of historical mysteries. Meg also works in corporate affairs, after a career in journalism and public relations. She lives in Sydney with her husband and two children. ‘Fled is an irresistible feast of history, adventure, intrigue and tragedy. Epic yet tender.